Check back soon to register for the Fall 2019 offering of Discovering Christ! 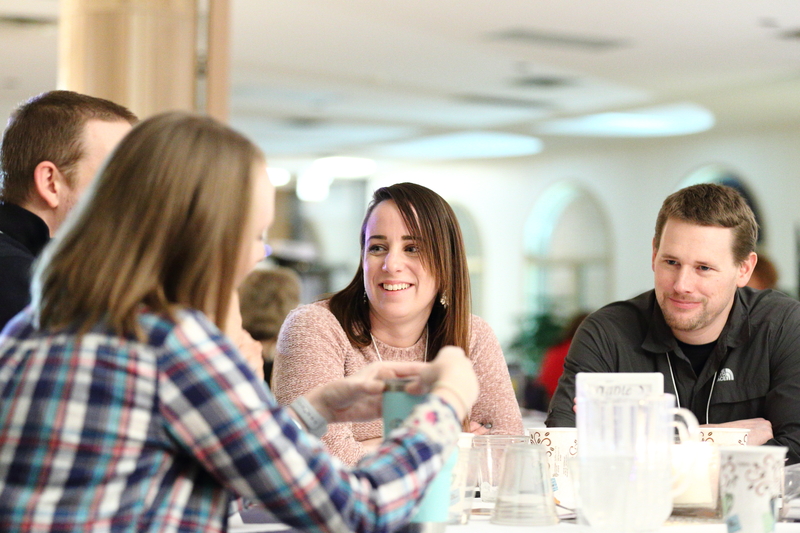 Join us as we gather to share a delicious dinner, listen to a dynamic teaching and join in a small group discussion to talk about what you’ve heard, ask the questions you’ve always wanted to ask and learn from others. We will explore topics that will not only touch upon the basics of the Catholic faith through the initial proclamation of the Gospel but also allow us to gain more insight into the meaning of life! Tuesday, October 1 Week 1 What Is the Meaning of Life? Tuesday, October 8 Week 2 Why Does Jesus Matter? Tuesday, October 15 Week 3 What Does Jesus Want Us To Know? Tuesday, October 22 Week 4 Why Do I Need a Savior? Tuesday, October 29 Week 5 Why Is the Resurrection Important for Us? Saturday, November 2 Retreat Day Who Is the Holy Spirit? * Discovering Christ is an eight-week experience, held at Holy Martyrs Church. It includes a one-day retreat. Childcare is provided for the evening sessions.